Philanthropist; born at Halberstadt Nisan 24, 1661; died there Tammuz 24, 1730; son of Judah Lehmann. At an early age he displayed great commercial enterprise. He afterward went to Hanover, and there became associated with the chief court agent Liepmann, who, appreciating Bermann's abilities and integrity, gave him his confidence. In this way Bermann had access to many princes, and several of them, such as those of Dessau, of Brunswick, and of Saxony, soon addressed themselves directly to him in their financial transactions. Bermann was in especial favor with Friedrich Augustus II., elector of Saxony and later, king of Poland, to whom he rendered many services in the capacity of banker and as diplomatic agent in Poland. For these services he was rewarded with the title of "Resident" of Poland and Saxony, by which title he is mentioned in the Polish chronicles. 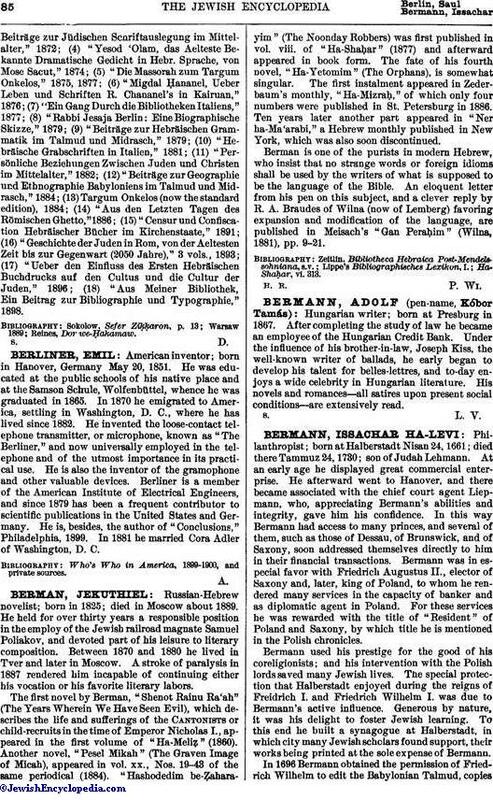 Bermann used his prestige for the good of his coreligionists; and his intervention with the Polish lords saved many Jewish lives. The special protection that Halberstadt enjoyed during the reigns of Freidrich I. and Friedrich Wilhelm I. was due to Bermann's active influence. Generous by nature, it was his delight to foster Jewish learning. To this end he built a synagogue at Halberstadt, in which city many Jewish scholars found support, their works being printed at the sole expense of Bermann. 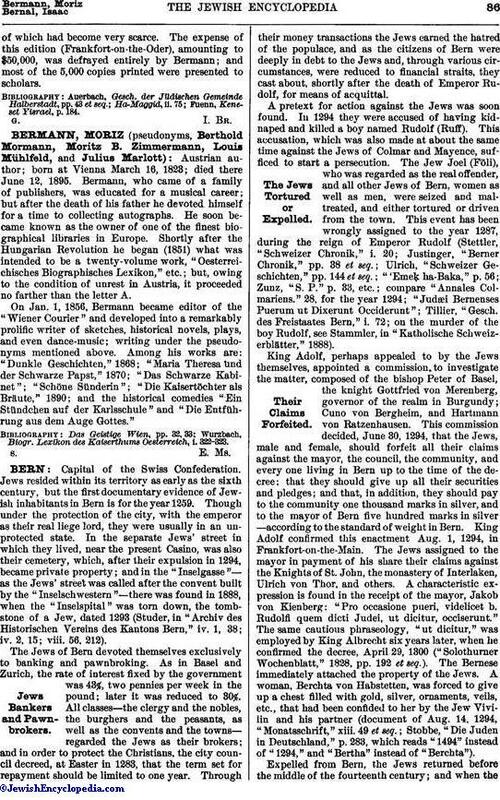 In 1696 Bermann obtained the permission of Friedrich Wilhelm to edit the Babylonian Talmud, copiesof which had become very scarce. The expense of this edition (Frankfort-on-the-Oder), amounting to $50,000, was defrayed entirely by Bermann; and most of the 5,000 copies printed were presented to scholars. Fuenn, Keneset Yisrael, p. 184.